As the great Cole Porter song goes, “I love Paris in the springtime…” It’s true — Paris, France is one of my favorite cities in the world. 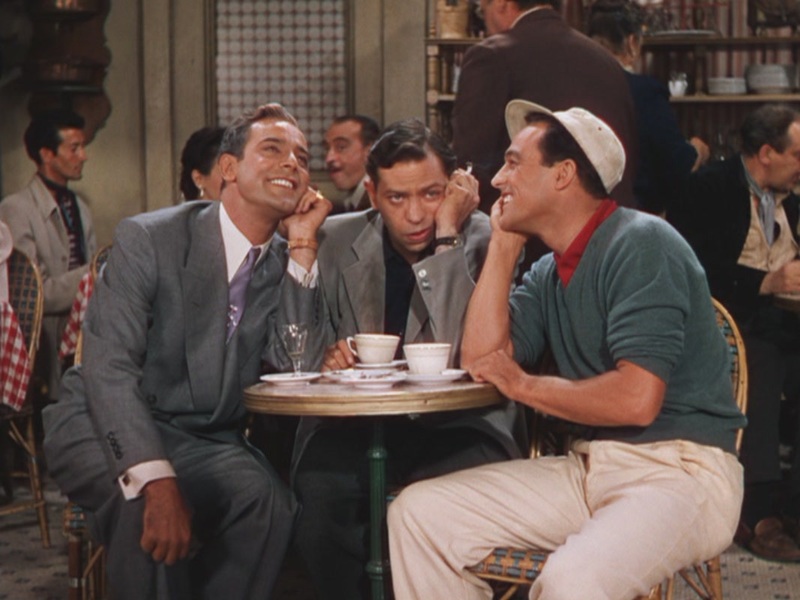 So, you’d think that I’d enjoy the classic film An American in Paris (1951) more. In the past, it’s been a film that I’ve more respected than enjoyed. But that all changed this week when I had the chance to see the film on the big screen for the first time as part of Megaplex Theatres’ wonderful Silver Screen Classics Series. Watching An American in Paris on the big screen was a revelation, to say the least. The clear and bright projection of the digital print magnified the film’s incredible production design in ways that I could never distinguish, yet alone appreciate (the film was primarily made in soundstages on the MGM studio lot in Hollywood, which almost makes it even more impressive). 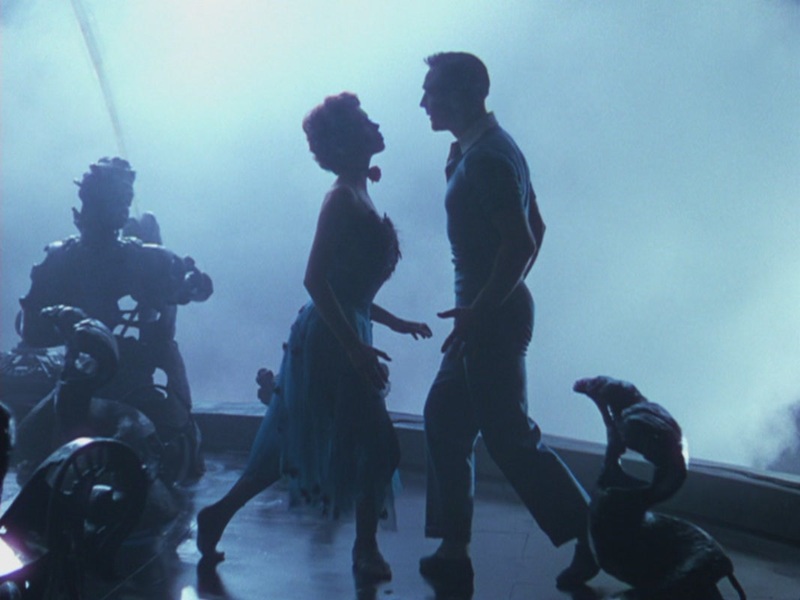 Gene Kelly’s phenomenal choreography and dancing were perfectly framed and filmed by director Vincente Minnelli. In fact, the dancing came to life more vividly than I ever remember on TV. And hearing the sublime music by George and Ira Gershwin on the marvelous theater sound system was just icing on the cake. The 17-minute ballet at the end of the film is something that I even liked on the small screen, and my appreciation for it grew tenfold. 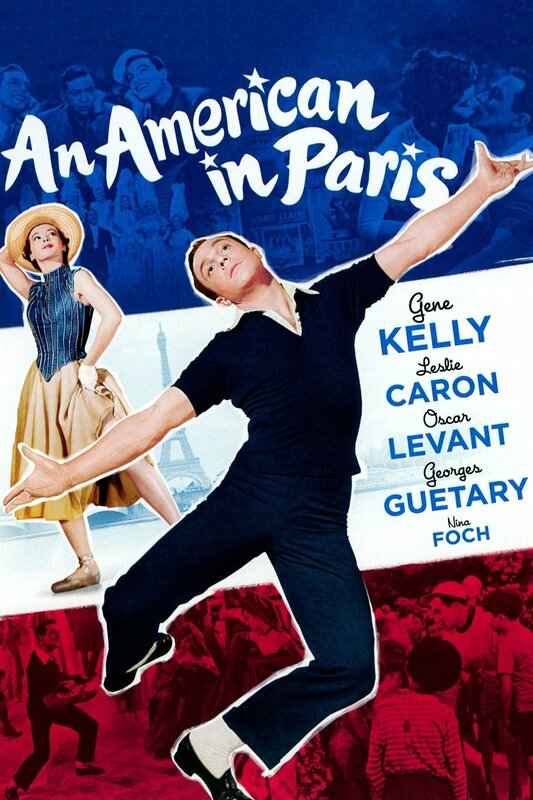 Seeing Gene Kelly and Leslie Caron dance through living representations of the works of famous French Impressionist and Post-Impressionist painters, including Raoul Dufy, Pierre Auguste Renoir, Henri Rousseau, Vincent van Gogh, and Henri de Toulouse-Lautrec, was truly breathtaking. Probably my main criticism that still remains is the film’s central love story. I’ve just never been convinced about the depth and sincerity of the love between Jerry (Gene Kelly) and Lise (Leslie Caron), not to mention the unkindness that Jerry shows to his temporary benefactress Milo (Nina Foch). However, I was so overtaken by the beauty of the production design, music, and dancing, that it was something that I decided to let evaporate away along with all of my other criticisms, for better or for worse. 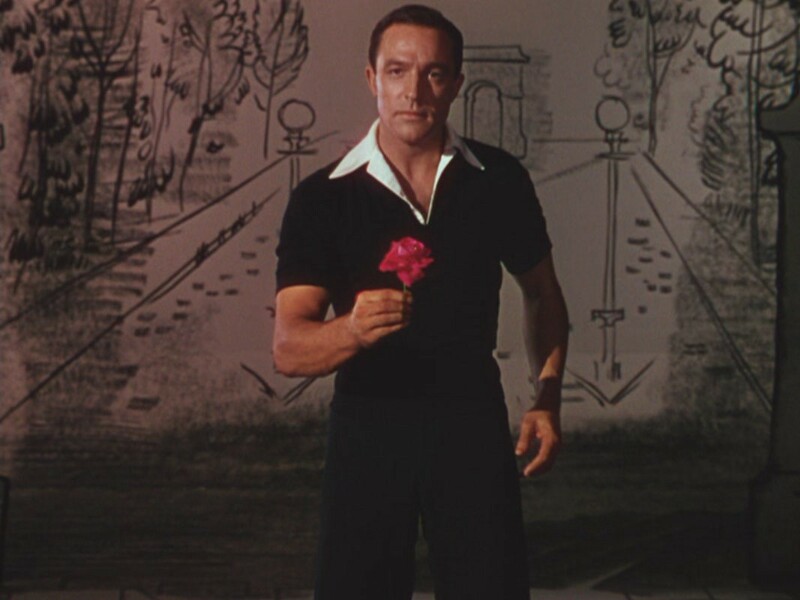 While Singin’ in the Rain (1952) still remains my favorite Gene Kelly film, primarily for its great setting, cast, story, and comedy, An American in Paris has become a new and respected favorite in my Hollywood musical catalog. If you get an offer to see An American in Paris on the big screen, the answer is oui. All Images ©️ MGM/Warner Bros.